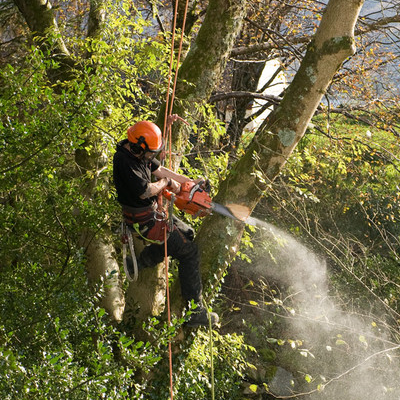 Tree removal is certainly our most widely asked for service. This is without a doubt also the most complex and substantial service in which we perform. Getting rid of trees is really not very complicated but it does necessitate expertise and equipment. Tree Service Syracuse has been eliminating trees in the Greater Syracuse area since 2001 - our company has taken down almost every single type of tree local to the Northeast. We have likewise taken down every sized tree, from small 10-20-year-olds to large ones in excess of more than one-hundred-year-old varieties. Our tree removal activity commences with the team supervisor designating team members to numerous jobs: ground-service crew, clean-up, chipper, lead cuter, and branch cutter(s). As the work commences, our team will systematically cut the tree starting off with the crown and working our way downward. 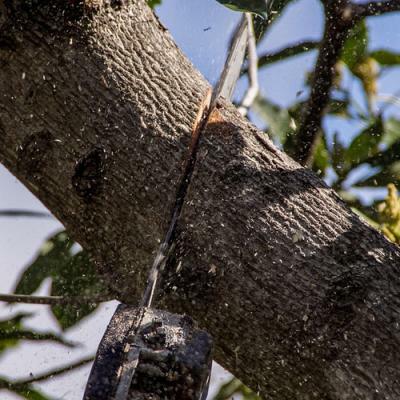 Irrespective if we use heavy machinery or just climb up the tree, we will eliminate the tree limb by limb, lowering each branch carefully to the ground where our team will further cut or dispose of it. We provide our clients an assurance to cut each branch or limb into 3-foot logs, making for very easy firewood splitting. We will carry on down from the crown till we are left with simply the primary trunk in about a nine to fifteen-foot portion. 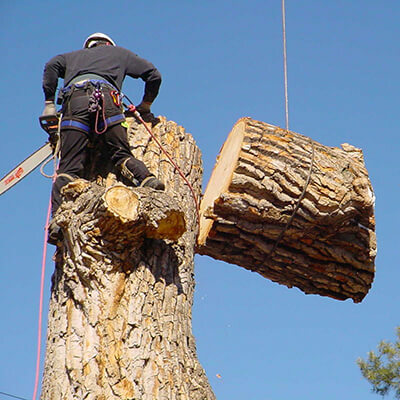 We finish the tree removal procedure by cutting this principal trunk off at a level ideal for grinding; or, we can definitely cut it to any level you indicate. Throughout this whole procedure, our ground-service crew will always keep the area devoid of tree limbs and other clutter. When the tree has been diminished to simply the stump, you can additionally opt to have the stump dug up or ground. Or, as several of our clients have done, you could make an attractive flower planter out it. If you choose to have the stump ground, we will reduce it as close to the soil as feasible to more conveniently facilitate grinding later. This will certainly help our Vermeer stump grinder to start the grinding procedure. Based on your desire, we will transport all of the material away or we can pile it in a specific location of your choice. The tree elimination procedure ends with our ground crew totally raking the nearby area free of small-sized branches and additional tree fragments. When we say goodbye, your landscaping will be unblemished less one or more cleared away trees. Feel free to contact us or for all of your tree elimination requirements. Our company is bonded, licensed, and insured.